In 1999, I had recorded my sixth album, “November in St.Petersburg”, with St.Petersburg Philharmonic Orchestra. Since then, I had the opportunity to perform this project many times with different orchestras. Also, I have been following other jazz musicians’ projects with string orchestras. Finally, sometime last year that I met with my dear friend and arranger Kamil Özler with a list of my compositions, some new and some old. We had gone to St.Petersburg together as well. He had arranged all the pieces for the orchestra and he attended the recordings and listened to all the musicians with great intensity. Initially, I described my new project to Kamil. Afterwards, I visited him at home, gave him the notes, and told him the stories of the music. I played the prototype at his computer and together we ignited my new project called “THERAPY”. While I was trying to figure out how to do the recording, where to record and with which orchestra; I stopped by Yesim Güler’s office at Istanbul Foundation for Culture and Arts (IKSV). She is the director of the Istanbul International Music Festival. We browsed the catalogues for classical orchestras and I came back home with a few names. We contacted London Philharmonia and after exchanging information and some paperwork, we signed the contracts for the recording. The director of the orchestra recommended Abbey Road Studios for the recording, since they frequently used the studio and it was one of the best in Europe. Meanwhile, the orchestrations of the pieces were completed and we could play the computerized versions of them at home. As a trio with Kağan Yıldız and Ferit Odman, we practiced at home over the computerized versions of the strings. Although it felt very artificial, it enabled us to get the feeling of the pieces and also their traffic. During that time, while listening to a “Quartet West” album at home, I thought of working with Alan Broadbent on this project. He had been playing with Charlie Haden for a long time and iswas also responsible for the arrangements. I also knew from Diana Krall’s “Live in Paris” that he was the conductor for these concerts as well as acting as the musical director of the group. I had watched him play live a few times and I had great respect for him as a pianist and a composer. First I contacted him via email and told him about the my project with all my sincerity. Also, I sent him the music and told him that we would be recording in London. I asked him to conduct the orchestra. When he accepted the project, I had the happiest and the best night of a long time. A few days later, I contacted Alan Broadbent again via email and asked him directly to talk to Ernie Watts on my behalf and tell him that I would love to have him in this project as well . It turned out that he was actually with Ernie Watts when he received my e-mail and the positive answer came back very quickly. I had yet another great night. Ernie Watts and Alan Broadbent came to Istanbul for a concert during the week before our recording date in London. We met at my house and listened to the project’s music. We got to know each other and dined together. They took the sheet music and went to their hotels. They had their concert that night. We said our goodbye’s to meet in London following week. That week went by very fast and finally it was the day of our trip to London… When Ferit, Kağan, my daughter Nisan, my wife Pınar and I landed at London airport, we were very excited but also a little tense. Next day, we were at the famous Abbey Road Studios, a huge place with high ceilings, like gigantic hangar for airplanes… Members of the Philharmonia orchestra took their places. The technical team had completed the sound check meticulously while we were warming up with our instruments. London Philharmonia had completed hundreds of recordings in this studio. Alan Broadbent went over the first piece. In 10 minutes, the recording light was on and the recording had started. We wrapped up the first day by finishing the recording of six pieces in three hours. Everybody appreciated the talent and professionalism of Kağan and Ferit immensely. In this album, Ferit‘s swing and his mastery of his brushes were way above and beyond by my expectations. Kağan contributed significantly to the album with his confidence, intonation and his incredible solo in the piece I had composed for my late bass player friend Oğuz Durukan called “Storyteller”. On the second day, Ernie Watts arrived at the studio two hours earlier than everyone. He warmed up his sax and finished his preparations. For the recording setup, he was situated on my right side. We played within each other’s eye sight. Ferit on the left, Kağan in front of Ferit, Ernie Watts on my right, the orchestra right in front of me, and Alan Broadbent facing everybody. In three hours, we finished the recording of the rest of the pieces. All in all, we had spent six hours for the recording of the 10 pieces including rehearsals! Andrew Dudman was a very experienced and incredible recording engineer. Mixing was completed the day after. Final day, we met Andy Walter for mastering at the studios. We had chosen to work with Andy because of his previous works. With him, all the work proceeded like clockwork and I had the masters for the recording in the afternoon. Four days in London was enough to complete the recording, mixing and mastering. We celebrated finishing the album that night at dinner. Meanwhile, we had heard about the volcano eruption in Iceland and how it was affecting London airspace during the mastering work at the studio. However, we didn’t worry too much about it. Kağan said “Don’t worry. It will be over by tomorrow and we will go home!” We had planned to return to Istanbul the day after the mastering. All in all, we had to stay in London for 4 extra days. All planes were grounded, no way out of London. We visited museums and enjoyed London sites, restaurants and streets. It came to a point where I was very frustrated with the uncertainty of the airports and flights, so we decided to drive to Paris in a van-like large car and take a flight out of Paris to Istanbul. However, when we landed off the ferry in Europe, we had to revise our plans again since French airports also were completely shut down. We drove down south, spent a night at Chamonix in the French Alps and continued onto Rome the next day. We were finally in Istanbul after two days of driving through Europe and taking a Turkish Airlines flight from Rome instead of London. This recording taught me a lot of things about life. 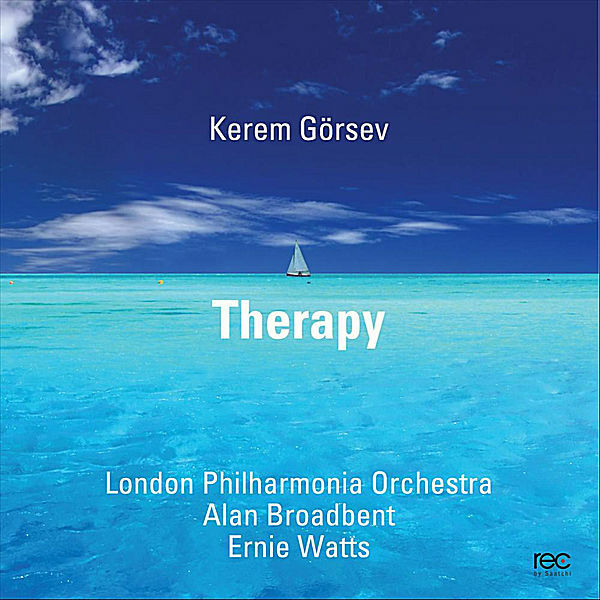 Despite all the difficulties, I lived some of the happiest days of my life with London Philharmonia Orchestra at the Abbey Road Studios with Alan Broadbent, Ernie Watts, Kağan Yıldız and Ferit Odman. Also, I feel very lucky to share those moments with Pınar and Nisan. In this album, “Letter to Mimaroğlu” is dedicated to İlhan Mimaroğlu, “Storyteller” was composed for my dear friend Oğuz Durukan, and “Flashback” is in memory of my Dalmatian, Bebop (1995-2010). Finally, I want to thank Alan Broadbent who conducted the orchestra like a dream and enchanted every one of us with his great musicality, gave me great pleasure to work with and made me feel intensely about music. Also, I want to extend my thanks and appreciation to Ernie Watts who contributed tremendously to the album with his melodies and solos. Finally, my special thanks for every member of the London Philharmonia orchestra for their musicality and interpretations.